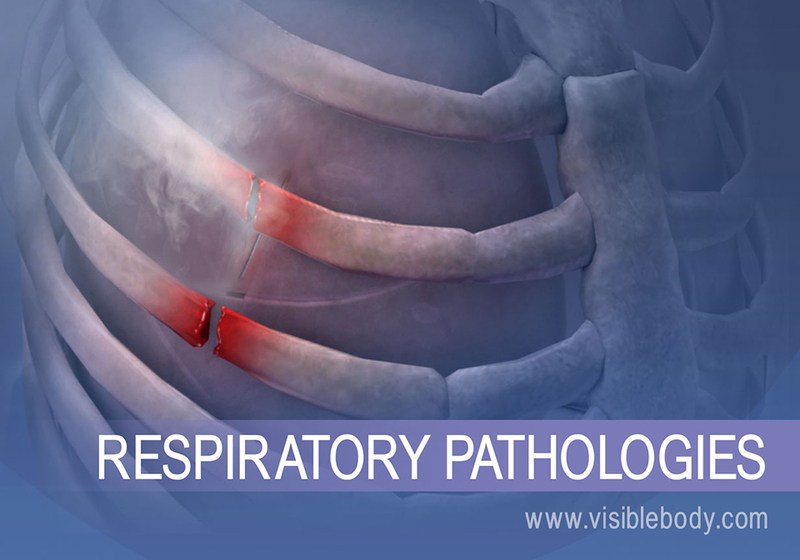 There are two types of respiratory diseases and disorders: infectious and chronic. Pulmonary infections are most commonly bacterial or viral. 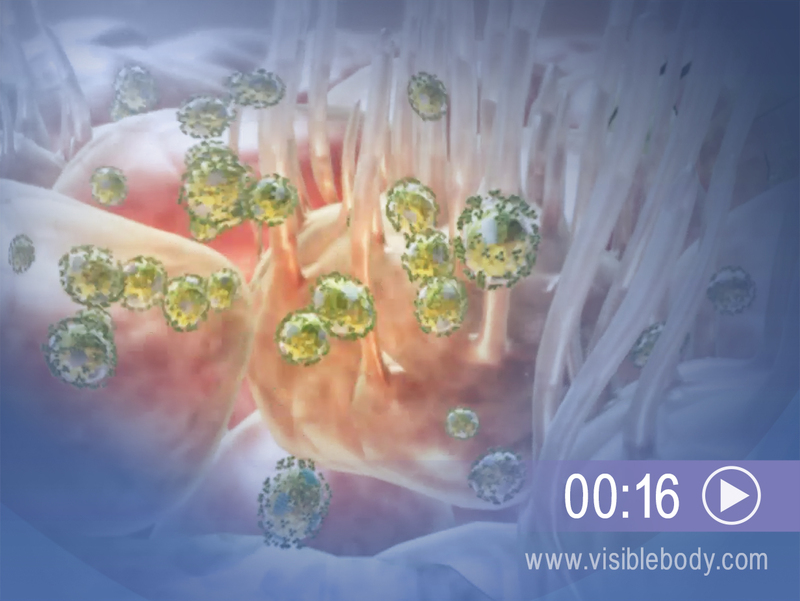 In the viral type, a pathogen replicates inside a cell and causes a disease, such as the flu. Chronic diseases, such as asthma, are persistent and long-lasting. They can relapse and the patient can go into remission, only to suffer symptoms again at a later time. 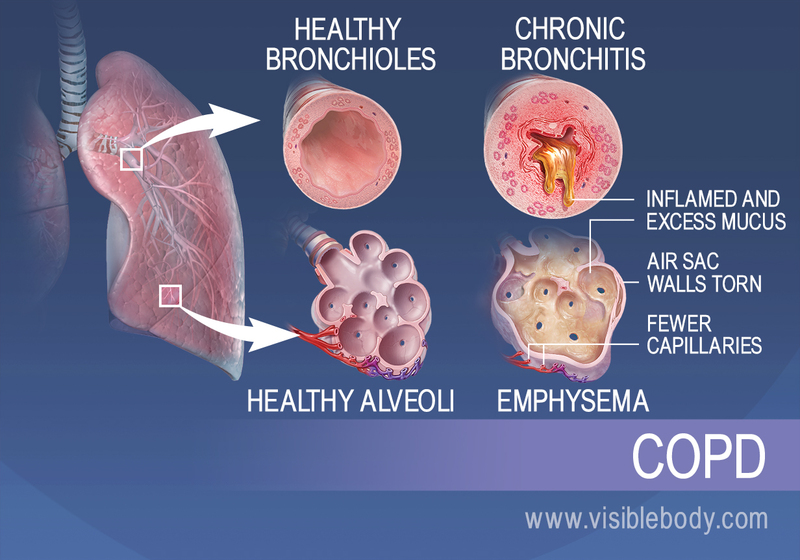 COPD is a chronic respiratory disorder caused by long-term exposure to substances that irritate and damage the lungs. These substances include cigarette smoke and other inhaled pollutants. The two main types of COPD are chronic bronchitis and emphysema. In chronic bronchitis, inflamed airways constrict and generate excess mucus, making it hard to breathe. In emphysema, the alveoli in the lungs are damaged. 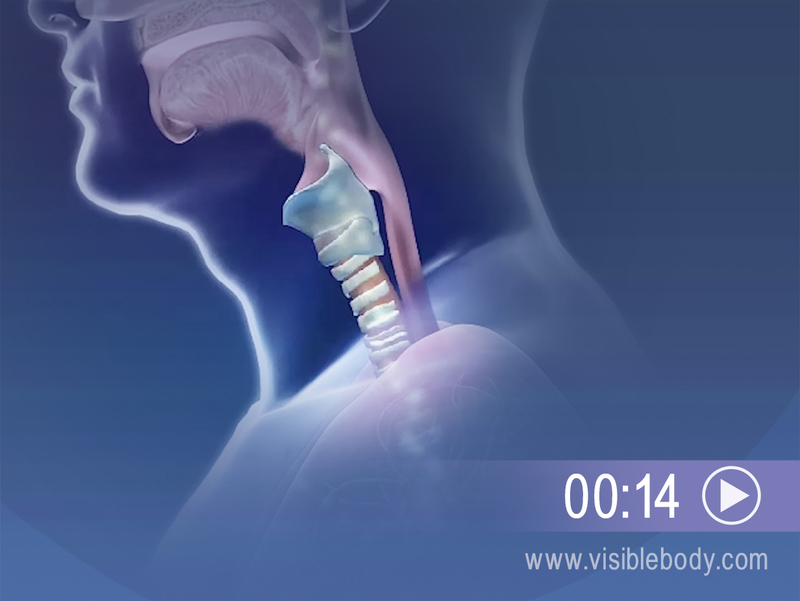 This interferes with oxygen absorption, making the patient feel short of breath. Asthma is a chronic disorder involving soreness and swelling of the interior airway walls. It can be triggered by the inhalation of particles from the air. Physical activity or respiratory infections may also contribute. In an asthma attack, the inflamed airways become irritated during inhalation. Smooth muscles in the airway wall tighten, resulting in bronchoconstriction (constriction of the bronchiole tubes) and excess mucus production. The narrow, obstructed airways restrict normal airflow into and out from the lungs. Asthma sufferers wheeze, cough, and have difficulty breathing during an attack. The paranasal sinuses are hollow, air-filled spaces in skull bones around the nasal cavities. Mucous membranes line the sinuses. They produce mucus that normally drains into the nasal cavities. Airborne allergens and viral or bacterial infections can inflame the mucous membranes. The inflammation blocks the sinus openings and prevents the mucus from draining. 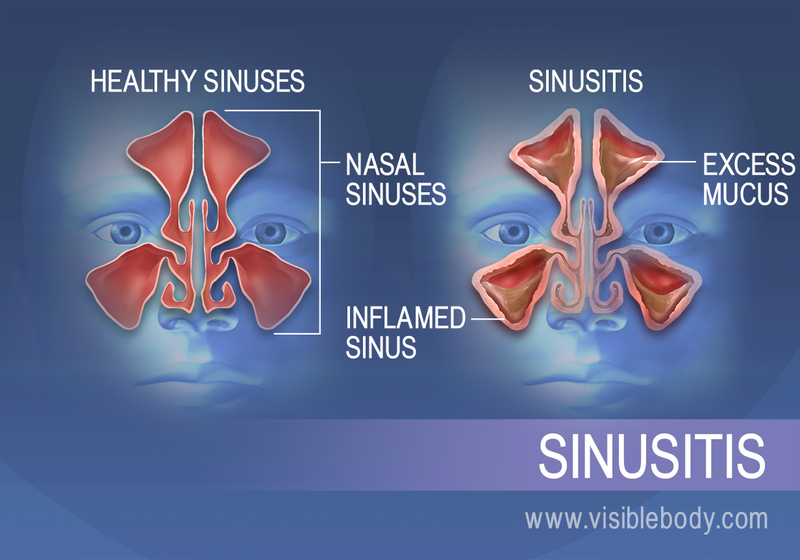 This is a common condition known as sinusitis. Influenza, commonly called “the flu,” is a contagious disease: An influenza virus can pass through the air from one person to another. Once inhaled, the flu virus moves into the respiratory tract and enters epithelial cells that line the airways. Infection spreads as the virus replicates, destroying host cells and moving into the bloodstream. The body's immune response causes high fever, chills, and muscle aches. The thoracic cage, or rib cage, normally protects the lungs. Chest trauma can result in a puncture or tear in lung tissue, however. 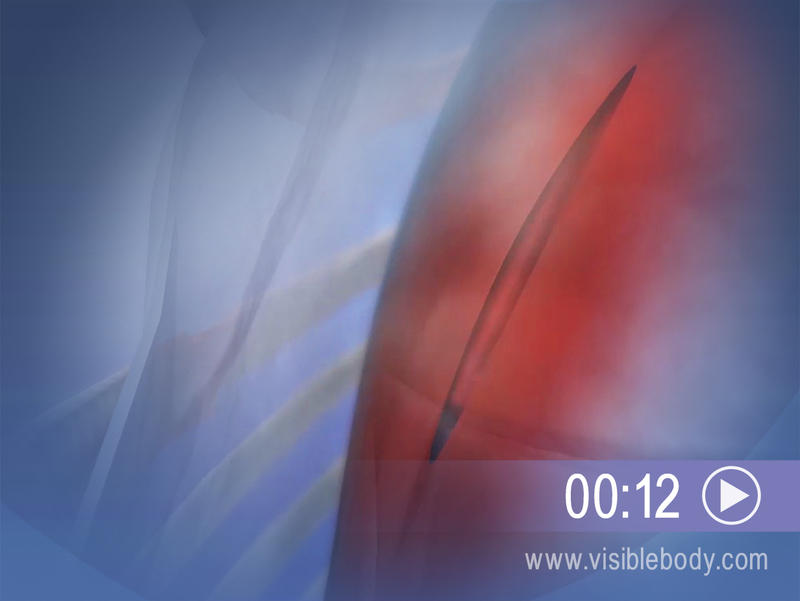 Air escapes from the tear and builds up between the lung and the chest wall. The air pressure pushes on the outside of the lung until it collapses. A complete lung collapse is called pneumothorax. The American Lung Association provides guidance and information on COPD and asthma. Researchers monitor for next novel influenza strain from Science Daily.